Bringing your mall online provides a-lot of great possibilities. Among the greatest is the option to show your customers local product offers and inspiration from your tenant shops when customers use your website, social media and mall app. However to do this you need a lot of content. Content that should come from tenants, but constantly prompting your tenants for new content takes up all of your time. Most tenants are part of a chain where all marketing is controlled at the headquarters. In some cases the local store even needs to ask before posting on their local Facebook page. 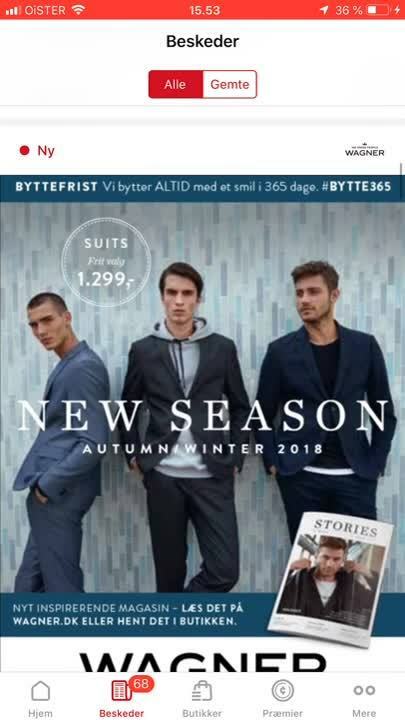 Therefore it's not possible to get content for your shopping mall by showing up in the store, and you will need to write an email to the marketing department. At most malls, the process for getting content is to email the different chains marketing departments all at once and ask for materials for a specific event. This creates a massive stream of e-mails. A stream that's hard to keep a hold on after you have clicked the "send" button. Who has received it? Who will deliver what at which time? Gives you a headache right? It gets worse if we look at it from the angle of the chains. On days leading up to special days, like Black Friday, the marketing department typically receives a mail from all the malls, where they have shops located, asking for exclusive material. Thereby they receive 80+ emails with inquiries. Resulting in 80 new, unexpected tasks. Tasks that'll carry less priority than their own. That's why your mall doesn't get an answer, and therefore lacks content most times of the year. The problem is that the above processes aren't automated, and therefore require an agreement between two persons. To solve this problem manually, it's required to plan what to receive, at which time, usually a year ahead - planning that in most cases is impossible to do. That's why we created an automated solution. We call it Emplate retail+. This mean that your mall's marketing department can get a content cooperation agreement with chain store headquarters, an agreement that we provide. 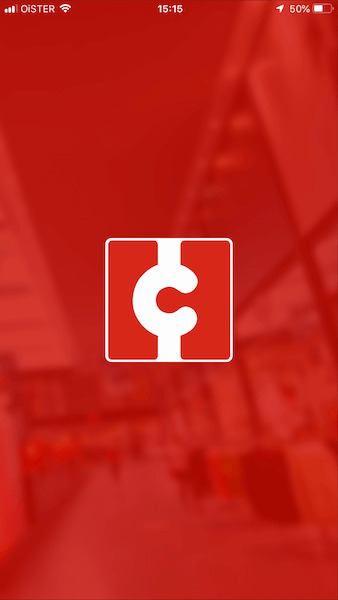 When the agreement is established, your mall will receive the content that the chains create for their website and social medias automatically. All material will be located in the Emplate management system, and your mall can afterwards pick and choose between the content. This system provides our malls with 200 campaigns pr/md. on average. We see that customers engage more with local content, because it's typically more relevant to them. That's why local content, is essential for the marketing department of the mall. Local content in most cases comes from new product releases and events at tenant's shops. However, tenants are busy, and contributing to the marketing of your mall only increases stress for them. Therefore it's a time-consuming task to go from shop to shop asking tenants to contribute with content. At every visit you need to pitch, and plan which content you would like the tenant to help you with - and sometimes the right person, is not even there. This problem increases dramatically if you are creating a magazine, poster campaign, or a newsletter, as you will need a large amount of content in a short period of time. We found that the main problem, is that tenants can't measure if they get any sales by participating in your marketing. On the other side, it's easy to measure how much revenue they make from customers visiting their store, and that's why they put their focus there. Recently we created a case study where we got 80% (See picture below) of tenants to participate with content in 3 months. We did that by showing them that every time they delivered an offer to the shopping mall app 23 customers were visiting their store. Click here to read the full case study. The case study shows that it's critical to show tenants what they get out of participating. To do so, you can use the Emplate retail app. With the Emplate retail app, tenants can upload offers and happenings to the shopping mall app (see video below), and within the app, they can see the direct effects of their uploads. Therefore uploading and getting interactions becomes measurable and tenants can put uploading content into their performance cards and daily tasks - because as this study concludes: What gets measured gets done. As an example, was 2.400 pieces of content uploaded to our apps doing September alone. A loyalty program is a great way to make customers visit the mall more often, and tenants get the benefits of getting more customer into the store - which creates an upselling possibility. Therefore a loyalty program should look like a win/win agreement - however it does not with traditional programs. The reason why it's hard to get tenants to participate in traditional loyalty programs is because tenants can't measure the upselling effect - only the risk by giving discounts. The tenants don't know how many customers are visiting to redeem a loyalty program offer. They also don't know if customers only come to get the offer, and if they would have bought the product at its full price, had the loyalty program not existed. This creates a feeling of doubt towards the loyalty program, and therefore the tenant has to make a decision based on their gut feeling. Tenants would also have to deal with all the administrative processes of handling coupons manually. In addition to this many chain stores have their loyalty programs, and that makes them less likely to participate. In herningCentret customers currently can choose between a range of prizes. From small prizes like a free ice cream from the local cafe to large prizes in form of 65€ gift cards from tenant shops. Prizes are given when customer's have visited the mall between 5 and 90 times with the highest rewards to those that have visited 90 times (see the video below to see how it looks). It's also 100% digitalised, so no coupons and administrative tasks involved. With the Emplate management system, your mall can see how many customers currently have redeemed an offer, and how many are close to being able to. Therefore you can tell the tenants how many customers the loyalty program has provided them with, and you see the average for each month, thereby allowing you to predict the amount of customer that will come next month. Emplates solutions help malls empower tenants to participate with content and upload campaigns all by them selves. herningCentret have consistently worked closely their tenant, and the efforts now pays off in increased visits from customers. Download the case study below to learn how they did it.